John Holloway was born on January 15, 1744 at Wells, Somerset, England. He joined the Royal Navy in 1760, and visited Newfoundland with Governor Thomas Graves the next year. In 1771 he was promoted lieutenant, and in 1779 he became a commander. 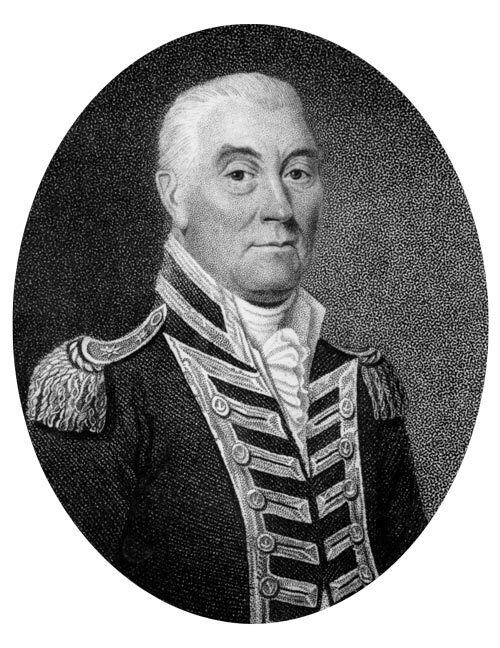 In 1799 he was promoted to rear-admiral after serving in the American Revolution and the war with Spain, and became post-captain in 1780 and vice-admiral in 1804. In 1807, Holloway was appointed Governor of Newfoundland. Concerned about the treatment of the native Beothuk, on July 30, 1807, he issued a proclamation against mistreating them, and offering rewards for information about atrocities. Holloway twice sent officers to the Bay of Exploits to meet Beothuk, and also sent an expedition under William Cull. Holloway allowed John Ryan to publish Newfoundland's first newspaper, the Royal Gazette, on condition that it would not contain anything "inflammatory against the Government of Great Britain", nor "sow dissension among the inhabitants of this island". A traditionalist, Holloway reverted to the anti-settlement mentality of some past governors and forbade the use of land for cultivation. In March 1809, the British parliament made permanent the island's courts of judicature, and re-annexed Labrador to Newfoundland, largely as a result of Holloway's lobbying. He left Newfoundland in October 1809. He was promoted admiral of the blue the same month, and the next year was made admiral of the white. He died at age eighty on June 26th, 1826, in Wells.